THE VAST MAJORITY of nurses and midwives with the Irish Nurses and Midwives Association have voted to go on strike in a dispute over pay and staff shortages. The Executive Council of the organisation will meet on 7 and 8 January next year to discuss the result and plan a course of action. They will set dates for a 24 hour strike across the country, which will see nurses and midwives withdraw their labour. The INMO in a statement said that if the strikes go ahead it will be only the second time in the union’s history that this has happened, the last being in 1999. Nurses are taking issue with the low pay in the sector which leads to staff shortages as nurses go into the private sector or move abroad. “Nurses and midwives simply want to do their jobs and care for patients properly. But low pay has led to staff shortages, compromising safe care. 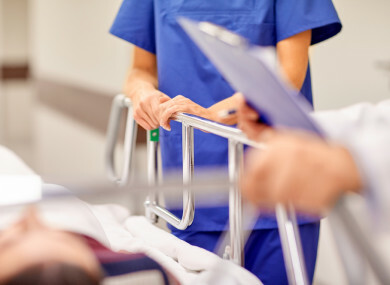 Ireland’s current haphazard approach to nurse staffing is costly and bad for patient care, as confirmed by the Minister for Health’s own nursing taskforce. Email “95% of nurses and midwives vote in favour of all-out strike action”. Feedback on “95% of nurses and midwives vote in favour of all-out strike action”.